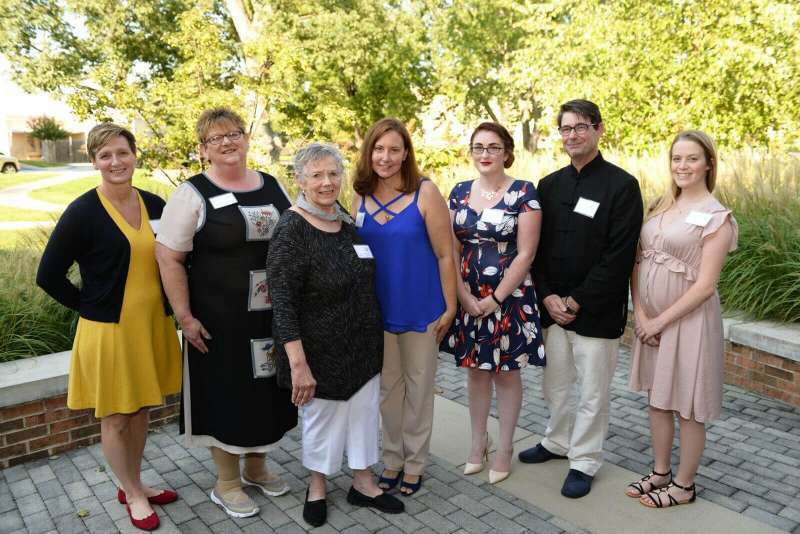 The Shepherd University Foundation’s Women Investing in Shepherd (WISH) awarded four grants totaling $102,500 to two community nonprofits and two Shepherd initiatives during a reception August 20 at Erma Ora Byrd Hall. The event was sponsored by John Wolff ’88, Bronfman Rothschild Wealth Advisors. Community nonprofits awarded $25,625 each were the Boys and Girls Club of the Eastern Panhandle and Community Alternatives to Violence. Shepherd projects receiving the grants were the Model United Nations, led by faculty member Dr. Aart Holtslag, and the Veterans Transition and Support Initiative, under the guidance of Dr. Ann Wendle, dean of students and a U.S. Army veteran. Qualifying nonprofit organizations must be designated as 501(c)(3) public charities located in Jefferson, Berkeley, Morgan, and Hampshire counties; Loudoun, Frederick, and Clarke counties in Virginia; and Frederick and Washington counties in Maryland. Organizations and groups affiliated with Shepherd must be university sanctioned. WISH, a women’s giving circle made up of both alumnae and community members, was established in 2014 by the Shepherd University Foundation and a volunteer steering committee from Women for Shepherd University. WISH was created to educate, engage, and empower women to achieve their philanthropic goals. Members combine their $500 annual contribution, which is then divided into two grant pools—one for Shepherd learning programs and one for community nonprofits. A one woman, one vote process determines the grant recipients in each category. Memberships for 2017 are being accepted until December 31. To date WISH has awarded 10 grants totaling $237,500. To learn more about becoming a member of WISH or about the organization, visit www.shepherduniversityfoundation.org/get-involved/women-for-su/women-investing-in-shepherd/, or contact Meg Peterson at 304-876-5021 or email mpeterso@shepherd.edu.